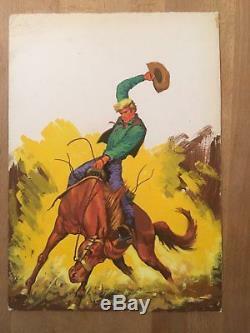 Original cover - rocky rider number 15 (February 1975). Any new member or possessing less than 10 evaluations is asked to contact us before making his purchase under pain of cancellation of this one. Shipments are generally made on Wednesdays and the deadline for sending is therefore 5 to 6 working days. All our products are available in store in Paris 10th All questions must be asked prior to purchase. Returns being accepted we thank you for contacting us before issuing a negative evaluation and this in order to find a respectful solution for both parties. 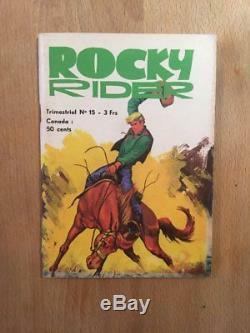 The item "original cover rocky rider number 15 (February 1975) tbe" is on sale since Tuesday, July 17, 2018. It is in the category "books, comics, magazines \ bd \ boards, original drawings". The seller is "fantasmakbd" and is located in / in paris.